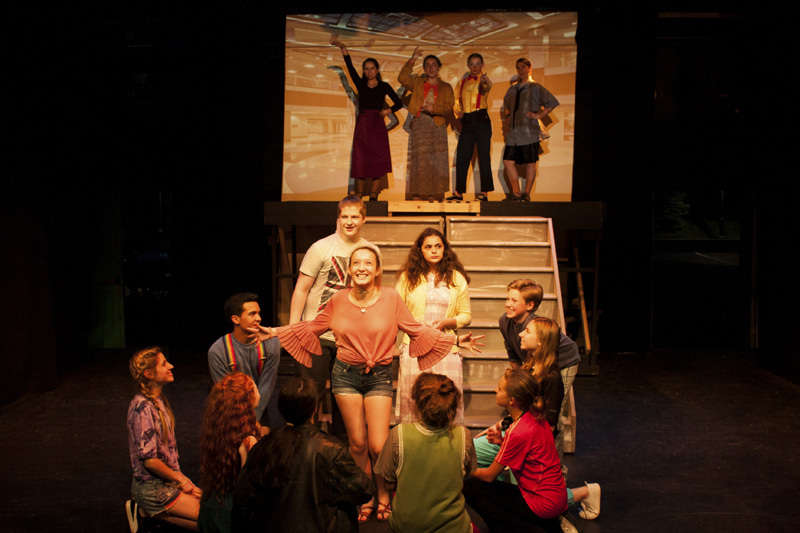 Home > Current Buzz > Pied Piper Youth Theater Presents Fame Jr.
Pied Piper Youth Theater Presents Fame Jr.
Pied Piper Youth Theater will be presenting the 1980's throwback Fame JR., featuring over 50 local young people from the theater’s intermediate acting group. Based on the hit TV series and eventual movie from 1980's, Fame, the musical follows several diverse students as they enter the prestigious High School for the Performing Arts in NYC. The inspiring stories of their passion, hard work, and dedication over the next four years intertwine with contemporary issues, universal to the high school experience. Fame JR. is performed by three casts from several local towns throughout Putnam, Westchester, Dutchess, Orange, and Ulster counties: Alexis Ortega, Amanda Kate Baumgardt, Averill Downey, Dylan Harrer, Lauren Collina, each from Patterson, NY, Elise Montenora of Montgomery, NY, Jamishay Cammann of Gardiner, NY, John Nielsen of Bedford, NY, Joseph Bento of Fishkill, NY, Leanna Florez of Holmes, NY, Morgan Lee-Ciano of Holmes, NY, and Selah Hess of Brewster, NY. From Stormville, NY, Ava Melikian, Caitlin Trainor, Charlotte Wang, Claire Missoum, Emma O'Brien, Jamie Anderson, Patricia Trainor, and Sofia Perez, and Abigail Anastacio, Aleya Carbone, Ally Paradiso, Bailey Rzeznik, Benjamin Hitchcock, Bodhi Williams, Caelyn Tuffy, Cooper Tumm, Eva Lisi, Gillian Cornell, Hailey Rose Colon, Jacob Hitchcock, Jake Patino, Jasmine Hall, Lauren Hubert, Libby Cornell, Lyndsey Ondek, Maggie Deans, Maya Harmony Hartglass, Michelle Andreo, Moira McNerney, Olivia Trupia, Paul Sedlarcik, Rowan McGlynn, Sabrina Downey, Sara Emi Haber, Sierra Tapllin, Sophia Franco, Sophie Sedlarcik, Tea Sedlarcik, Teagan Weindel, Tristan Colon, and Zyla Bumbery all from Carmel, NY. Pied Piper Youth Theater (PPYT) is a National Youth Arts Award-winning, non-profit program dedicated to nurturing young people's lives through an active participation in the theatrical arts. 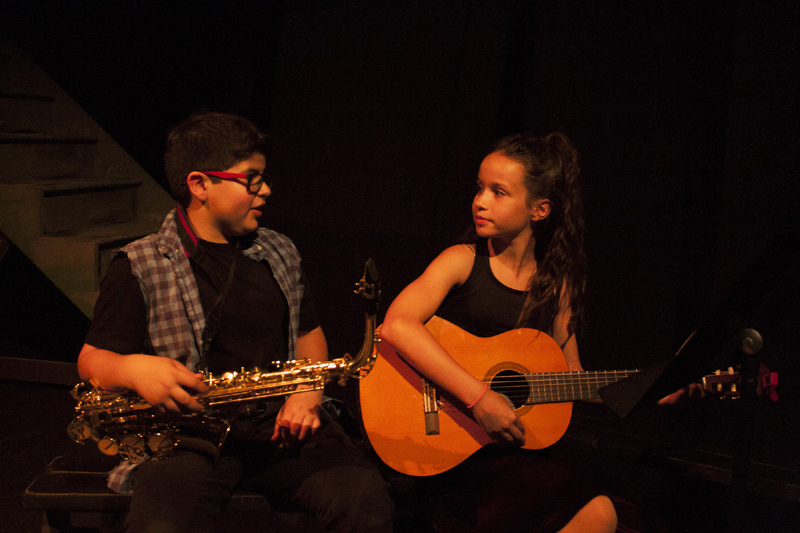 At PPYT, local students experience a musical theater production from start to finish, and are encouraged to participate in set building, costuming and makeup, and choreography. In a follow up to the Fall 2107 performances of Into The Woods, Sabrina Johnston returns to direct the younger Wednesday Cast of Fame Jr. with new Musical Director, Raegan Sedlarcik. The Thursday and Friday casts of middle and high schoolers is directed by PPYT's Artistic Director, Carolyn Nielsen, with musical direction from Michael Roth. In the spirit of the stories in Fame, JR., Pied Piper is raising money for a scholarship fund for their Summer Theater Camp that will provide tuition for local families that have a financial need. The community can contribute to the fund by visiting PPYT on Facebook at Facebook.com/pipertheater. Sales of concessions and Fame JR. memorabilia at the shows will also help build the fund. The theater's goal of $3,000 will help send several children to the camp for the entire six week summer program. Pied Piper Youth Theater’s production of Fame Jr. will be performed this weekend at The Schoolhouse Theater at 3 Owens Road, in Croton Falls, NY. The Friday Cast opens the weekend on Friday, June 1st at 7pm, and then performs again Saturday, June 2nd at 12pm. The Wednesday Cast performs Saturday, June 2nd at 4pm, and Sunday, June 3rd at 5pm. The Thursday Cast performs Saturday, June 2nd at 8pm, and Sunday, June 3rd at 2pm. There are limited tickets left, so advance purchasing is strongly encouraged. Tickets are $12 for students, $15 for adults, and can be purchased at www.pipertheater.org.